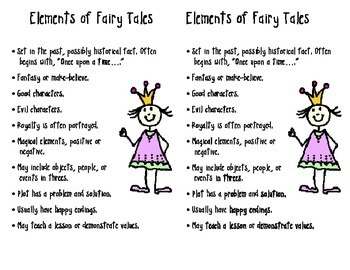 Bulleted list of Elements of a Fairy Tale. Print 2 to a page 8.5 x 11. Great for pasting into Interactive Student Notebook (ISN).